Today my friend gave me a film to watch. 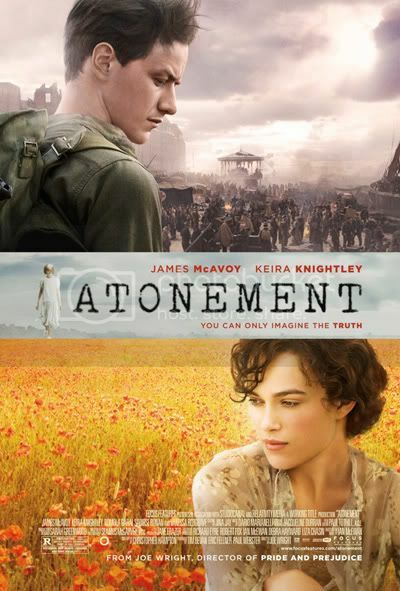 The film was English and its name was "Atonement". In Hindi it can be called "maaf". The film's story is about English history. Two-three years before WW2 there was a rich English family. In that family there were two sister - "See" [Keira Knightley] and "Talis" [Saoirse Ronan]. The family's house was very big and several servants worked inside it. There was one beautiful and clever boy whose mother was a kitchen servant. 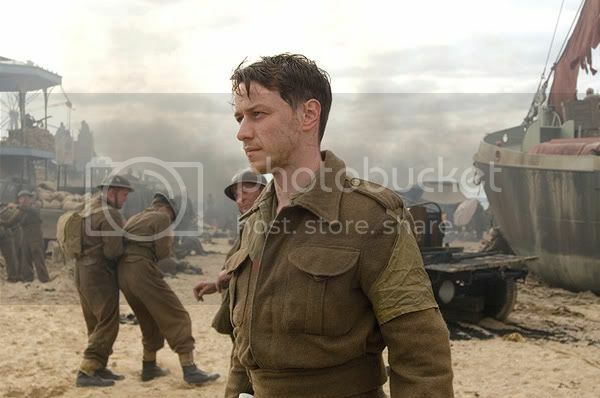 That boy's name was "Robee" [James McAvoy]. In between Robee and Si there was much love but in the story the little sister Talis thinks that Robee is a bad boy. One night Talis' friend is molested and Talis tells all the family-people that Robee is that rogue/ruffian. Because of this Robee goes to jail. 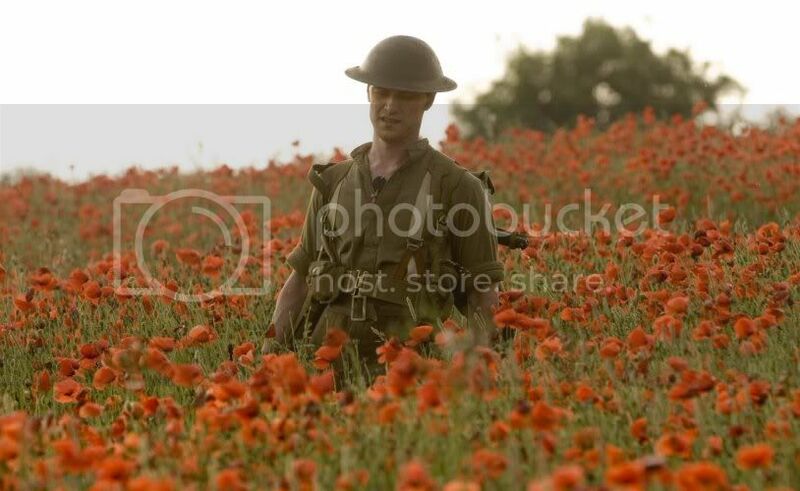 Then WW2 has happened and Robee goes to France with the English armies. Meanwhile Si and Talis both work in London city's hospitals. But Si is very angry with her sister because she forever knew that Robee was innocent. Five years later Talis understands that she made a bad error in childhood. The English-German war is closing and everyone Si, Talis and Robee lives in London. Talis goes to her sister's house to ask for forgiveness. Three people cry but it seems that Si-Robee will forgive Talis. This was the story. I liked the film for several reasons. The first thing is that it was very beautiful - meaning place, people, color, etc. Every thing was looking good. The second thing is that there were several interesting Christian symbols in the film. For example there is one scene in which Talis is washing her hands while she thinks about her old errors. This is a very classical Christian thing because in the Bible the Roman man who kills Jesus famously said, "I clean my hand about this!" The meaning of that was that if Jesus was not a criminal and to kill him was wrong then it will not be the Rome man's fault. After that in Western culture when someone or other says, "I clean my hand." then the meaning is that he doesn't want to see nor hear no do bad things. Si-Robi in a happy time. The third thing of the film which I liked was the film's storytelling style. Meaning there are several repeated scenes in the film and the style was very geometrical and clean. Example there were several moments in which it was from one character's perspective and then another character's perspective. Because of this it is easy for watching-people to understand all of the characters. That is also a thing of an old film - it's absolutely like an old Japanese film. That Japanese film was famous because it [showed] that reality is only one human's point of view. In both films it's the same thing of philosophy and the same style. I don't know Hindi but translation sounded not bad at all. Wah! I am exhausted on your behalf. Congrats on Filmfare! 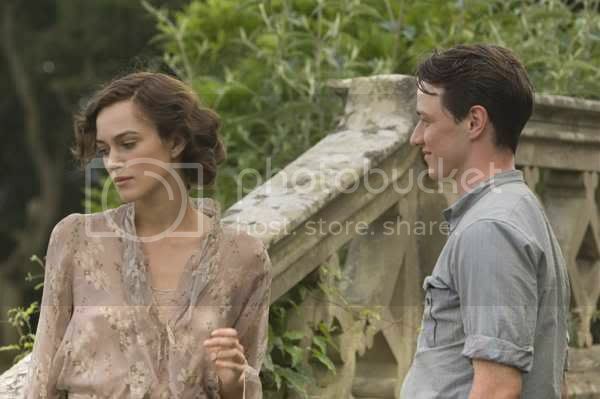 I'll have to check Atonement out now--heard mixed reviews on it. But you've repeaked my interest..
Congratulation on the filmfare article!!!!! Congrats on appearing in Filmfare! Which blog post did they feature? I am impressed with your Hindi - its really pretty good! Though "maaf" actually means "forgive" and wont be a good translation of "Atonement" (but I cant think of a translation, either!). PPCC! You MUST post a scan! The people demand it! At first I was like "PPCC I HATE YOU" but then I saw the translation and was appeased. I have no desire to see this - too much trauma-drama, and anyway I'm not allowed to watch WWII movies. VAH to the project, though! As someone who can only do "I am, you are," etc, I am v v impressed. Oh P-PCC, I am so jealous! I am trying to learn Hindi too and so far all I know how to say is "mera naam Heqit hai." Kya blogger hai! vah, vah! 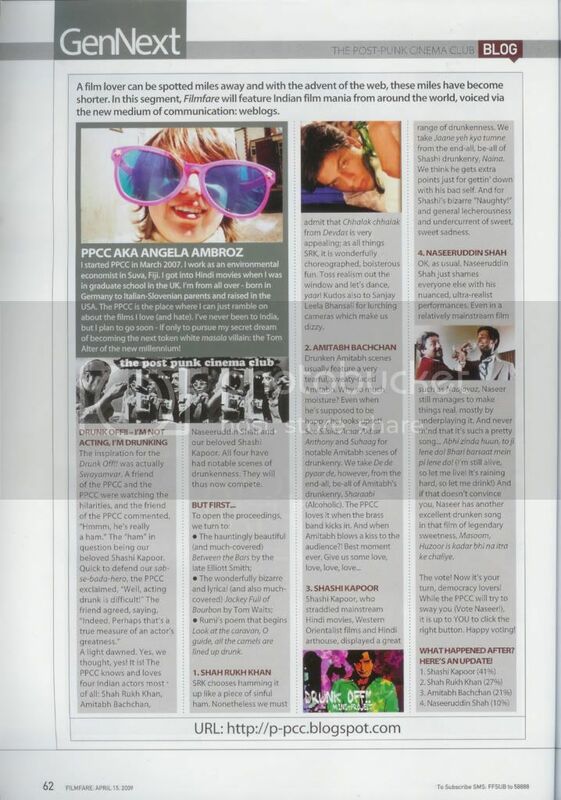 Hi PPCC, congratulations on being featured in filmfare! Been following your blog for a while now and must say its always a pleasure to read your reviews/analyses. Hmmm would "praschit" be a suitable translation for "atonement"? 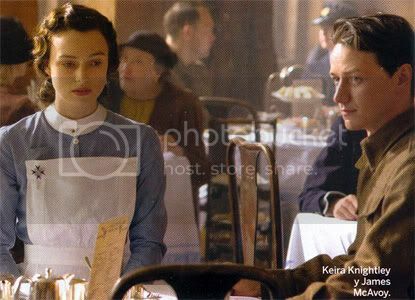 I loved Atonement. Anything Miss Knightley does turns out to be good! Have you seen her Pride & Prejudice? eliza bennet - I agree, it was a one-time go. James McAvoy = the hot. Memsaab - I am exhausted just thinking about our exhaustion! Nida - It was aesthetically quite beautiful and appealing enough. Some sequences (such as when the Dunkirk wounded arrive at the London hospital) were very well-made. Shweta - Thanks! I love learning Hindi, though I'm not disciplined enough to check all my grammar! bollyviewer - The Drunk Off! !, which I'm pleased about, as I think it best encapsulates the blog's ethos. (Heavily edited that it was, though!) Hmm, I suspected maaf was a crappy approximation! Beth - Why not allowed? It is, indeed, very devastating. I cried out all three liters of water, I think. Heqit - Aapka naam bilkul Heqit hai! Shukriya, yaar. Anonymous - We have a winner! No more "maaf"! I've been learning Hindi from Rupert Snell's glorious book, Teach Yourself Hindi, as well as (1) movies, and (2) private lessons. Bhargav - Shukriya! I did see Pride & Prejudice and enjoyed it quite a bit, despite my snobby "only the BBC/Colin Firth one is acceptable". I actually really enjoyed some of the filmmaking (e.g. the hand close-ups, which I mentioned in an old Hindi review). Sanket Vyas - LOL! Aw! I don't think I was ever bored, I spent far too much time admiring the motes in the sunlight and James McAvoy's gloriously cute looks!